These groups are free to join and most are open to all ability levels. Check their individual websites for more information about membership. Most Informal Running Club Ever – Meets Saturday mornings at the City Sports at 1035 Comm Ave for a 4, 6 or 7 mile loop, followed by a potluck breakfast. Marathon Sports – Taking off from the famed finish line every Wednesday evening for a 3-5 mile loop. As an added bonus, the store will keep track of your mileage and offer you discounts, members-only gear and other goodies for achieving milestones. City Sports – Meets every Tuesday evening. The store provides a secure area to keep your belongings while you run. Members get the chance to win prizes, earn rewards, and test gear. Luna Chix Boston Run – Meets Spring through early Fall at the Athleta store on Newbury St. Check their Facebook page for more details. Lululemon – Meets Monday evenings at the Prudential Center location or Thursday evenings at the Newbury St location. Marathon Sports – Meets every Wednesday evening for 3-5 mile loop. As an added bonus, the store will keep track of your mileage and offer you discounts, members-only gear and other goodies for achieving milestones. Most Informal Running Club Ever – Meets Tuesday evenings at Harvard Stadium for a track workout designed to add strength and speed to your run. City Sports – Meets at the Porter Square location every Saturday morning. The store provides a secure area to keep your belongings while you run. Members get the chance to win prizes, earn rewards, and test gear. Heartbreak Hill Running Club – Take the infamous hill head on every Wednesday evening. South End Athletic Company – This group offers track or hill workouts focusing on speed on Thursday evenings, and distance runs on Saturday mornings. Both meet at the Tremont St location. City Sports – Meets every Sunday morning. The store provides a secure area to keep your belongings while you run. Members get the chance to win prizes, earn rewards, and test gear. This location is also offering long training runs starting January 5, 2014 for anyone planning on running a marathon. 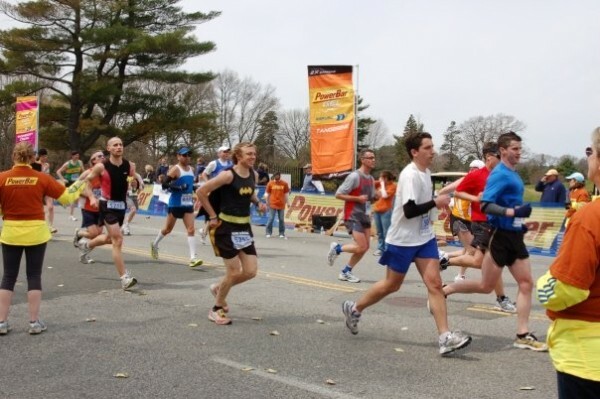 Distances and tapering will coincide with the 2014 Boston Marathon in April. This group is also free though RSVP is required.